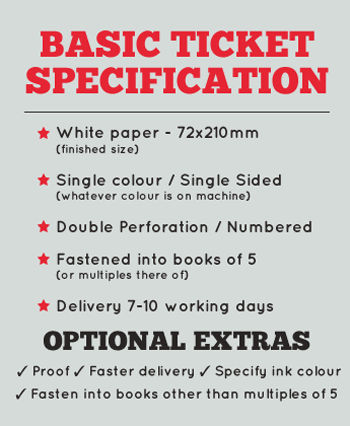 To obtain a quick quote for our basic raffle tickets, please enter your requirements below. 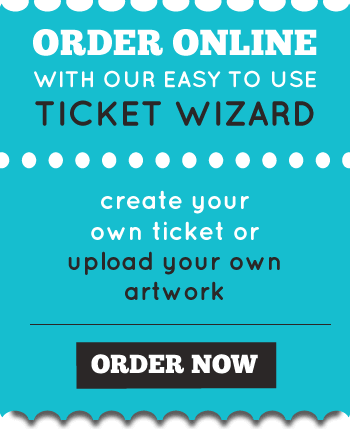 A written confirmation can be emailed if required. Prices include VAT & delivery to one UK mainland address. Offshore islands and some Scottish postcodes incur surcharges. The new EU regulation GDPR comes into force on the 25th may 2018. Threapleton Printers can confirm that your personal data will be kept secure and not sold or distributed to third parties unless legally required to do so. To help us comply with GDPR’s requirements, we need to confirm that you would like to continue to receive relevant information from us from time to time, via email / phone. If you don’t confirm, we will not be allowed to send details of new products, special offers etc.